It was Walt Disney's wish that Disneyland (and transitively, Walt Disney World) would never be completed. The world sees this desire carried out nearly every year, as Disney churns out new and exciting projects for each of its properties. In recent years, avid park-goers have been introduced to the likes of Cars Land at Disney's California Adventure, Mystic Manor at Hong Kong Disneyland, and (my personal favorite) New Fantasyland in Magic Kingdom Park, and the changes haven't stopped there. New parades, entertainment, and entirely new lands are constantly in the works, promising to entice tourists from near and far to visit Disney parks and experience all of the ever-growing and constantly evolving magic they have to offer. This weekend, at Japan's inaugural D23 Expo, Disney fans were given a glimpse into one of the most anticipated (and, for some, dreaded) projects in Disney's Imagineering arsenal: Avatar at Disney's Animal Kingdom in Walt Disney World. 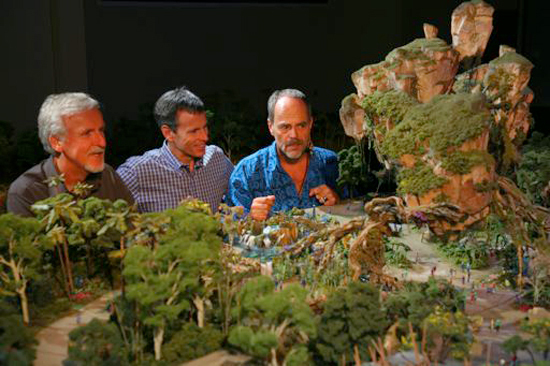 The expansion (known informally as "Avatar-land") was, until recently, only a rumor; it has existed inside a shroud of mystery since the project was initially announced in 2011, causing supporters and cynics alike to question whether or not James Cameron's world of Pandora would ever come to exist in the Animal Kingdom park. The past few months showed the project creeping along, with the slow-but-steady relocation of attractions (namely, Festival of the Lion King) from Camp Minnie-Mickey to other areas of the park, but concrete evidence was delivered at the D23 Expo that was held in Anaheim this August. 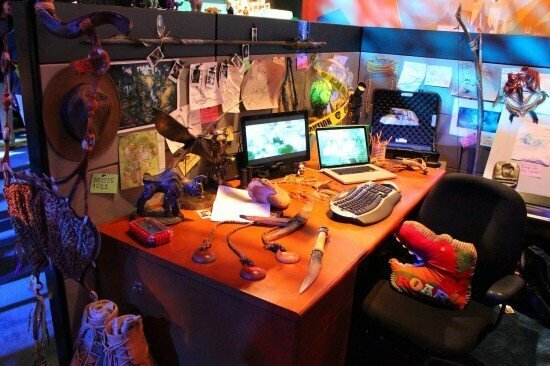 There, imagineers provided a glimpse into the intoxicating new world they are setting forth to create. Unfortunately, a number of fans were less than thrilled with the exhibition, and the vague nature of the display did little to quell the uncertainty that has arisen among DAK devotees in regard to the expansion. The Avatar spread at D23 Anaheim. This past Saturday- October 12th, 2013- the floodgates of this secretive venture burst open when Imagineers gave audiences at Japan's aforementioned D23 Expo the first ever glimpses of concept art for the area, which was quickly relayed to the American public on the Disney Parks Blog. In the post, Walt Disney Company chairman Tom Staggs briefly described a few of the features park-goers will find in the "epic" expanse (which will include "floating mountains" and an immersive bioluminescent forest) and teased its forthcoming attractions with artistic renderings that cannot be described as anything but absolutely stunning. Seriously, just look at them! I'll be perfectly honest, guys- I was totally prepared to hate this expansion (and when I say "hate", I mean "loathe with every fiber of my being"). To me, it was nothing more than another financially-driven gimmick that would drive out Disney's classic ideals and cheapen its timeless charm. Even when I first laid eyes on the lush, vivid, and utterly gorgeous artwork pictured above, I was hesitant to accept the fact that, like it or not, Avatar was officially on its way to the Animal Kingdom. However, the picture below is what led me to pause and consider exactly what this new venture could be; I remembered the humanity and innovation that characterizes everything imagineers (especially imagineers as prolific as the legendary Joe Rohde) do. In the hands of Disney's amazing team, I have every confidence that "Avatar-land" will be a truly special experience that will delight visitors for years to come. What are your feelings on the Avatar expansion? I really am excited to watch it grow over the next few years, and to see how it ultimately fits into the Animal Kingdom! P.S. If you'd like to read a more in-depth post from one who has a far more extensive knowledge and understanding of Disney's Animal Kingdom than I, I implore you to check out this post by David McBride on JamboEveryone.com's Bwana Blog. He gives great insight from the perspective of a true Animal Kingdom enthusiast while sharing tidbits and speculation about what the project's future may hold. Really- check it out! ... But I guess I'll have to grudgingly accept. It is Disney, after all. I know... despite my hope that it will surprise us, I am still rather wary of the project's execution. What worries me is the shelf-life of the source material. Will people still care about Avatar in ten years, or will it become another tired attraction to which guests don't grant a second glance? Only time will tell, I guess, but I'm excited to find out!